Special occasions deserve special treatment! What more perfect way to acknowledge a special person or commemorate a special occasion than with an original illustration capturing all the unique elements? 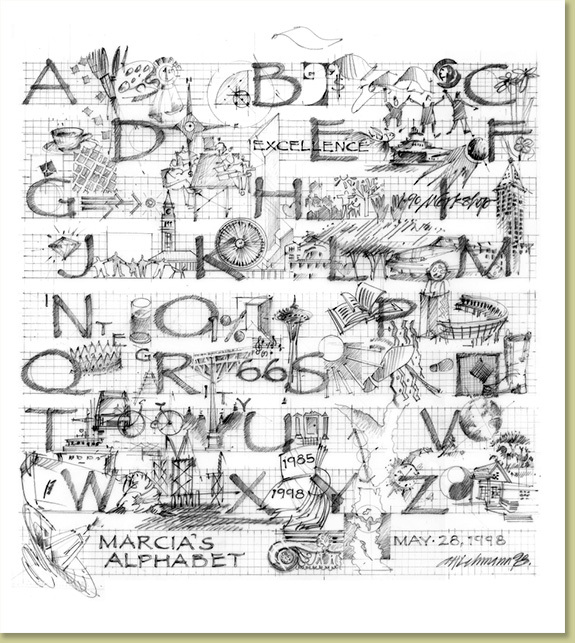 Through an easy and straightforward process Anita will work with you to determine the qualities, characteristics, achievements, and events that will form the basis of your custom alphabet. You can contact Anita here.